Hearty, filling soups can be healthful as well as comforting winter dishes. And there's no better place to start than with the legume family. Legumes include any of thousands of plant species with seed pods that split on both sides when ripe. Beans, lentils, peas, peanuts and soybeans are all edible legumes. Throughout the world, high-protein legumes are a cooking staple. 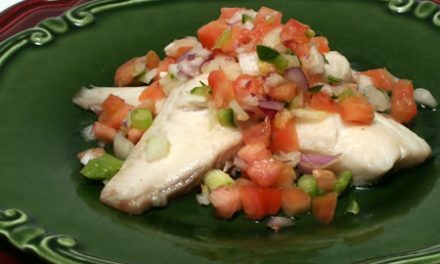 They are relatively inexpensive and easy to cook. Full of fiber, minerals and valuable protein, they have no saturated fat - an added bonus. Legumes also contain phytochemicals, natural compounds that can prevent the cancer process from beginning or stop cancerous cells from becoming tumors. Along with plenty of vegetables, fruits, whole grains and nuts, legumes are recommended by the American Institute for Cancer Research and other health experts as part of a mostly plant-based diet to lower the risk of cancer and other chronic diseases. Split peas are a variety of the yellow or green field pea, which is grown specifically for drying. As they dry, they usually split along a natural seam, becoming split peas. Available in supermarkets and health-food stores, split peas usually do not require presoaking before cooking. They are a different variety of pea from fresh green peas, and a better source of iron, fiber, zinc, magnesium, vitamin B-6 and folate. Because dried peas and beans provide all this and protein, too, they are a good meat replacement. 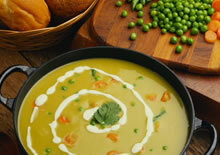 Homemade split pea soup has all these benefits, without the excess sodium contained in many canned soups. 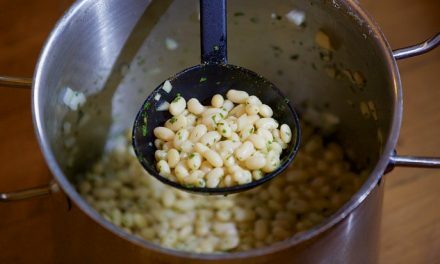 For a cold February day, the following soup, along with some whole-grain bread and perhaps a leafy-green salad, makes an easy and satisfying meal. In a medium saucepan, heat the oil. Saute onion, carrot and garlic until soft, about 5 minutes. Add the split peas, broth and water and bring to a boil. Reduce heat and simmer, covered, until the peas are tender, 1 to 2 hours. Stir occasionally. Add marjoram, salt and pepper. Heat through.